and HOORAY!!! 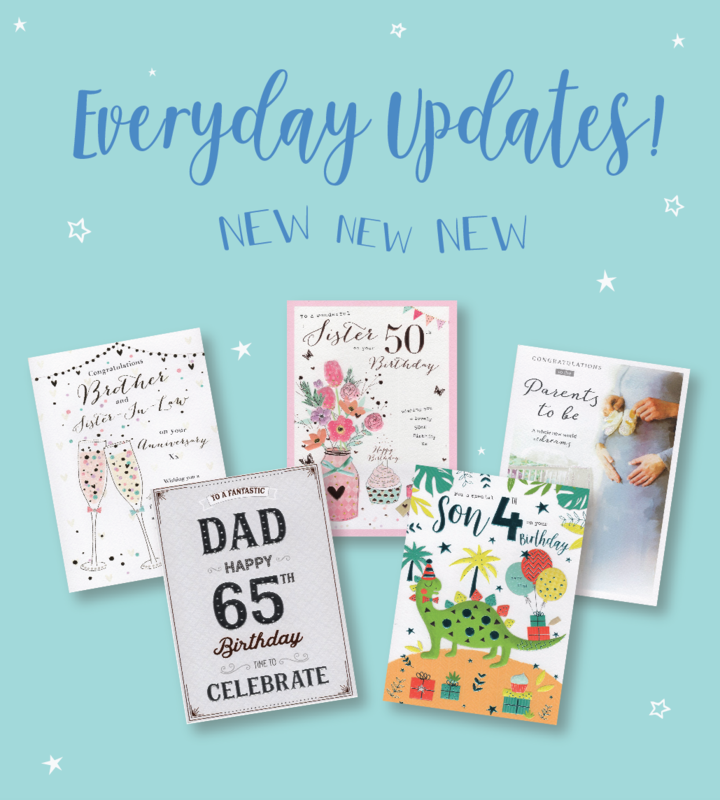 Introducing super, lovely Age Milestones too! Just launched! 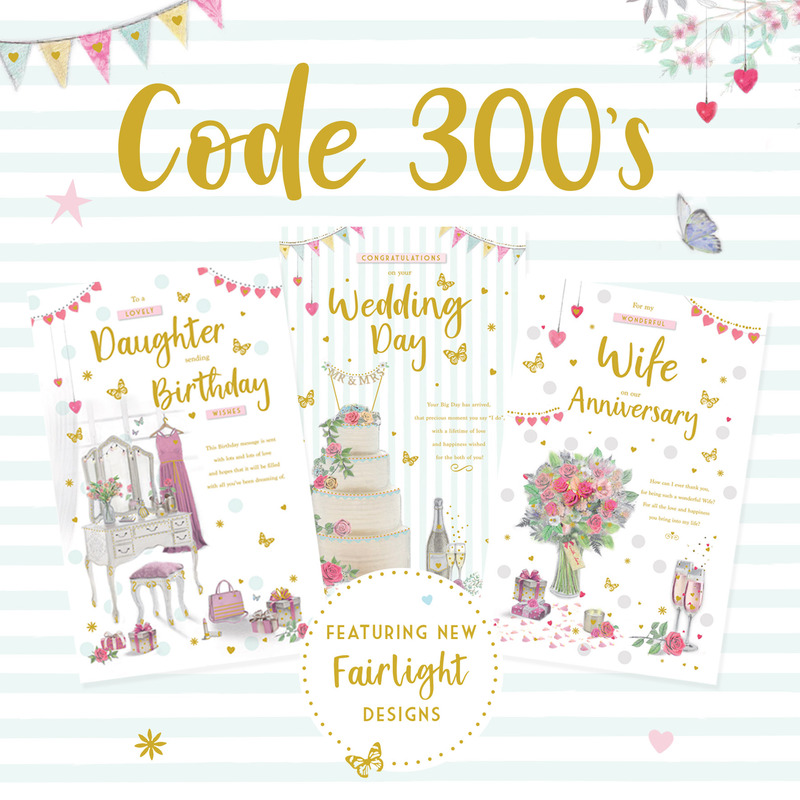 A brand new collection of code 300's featuring beautiful pencil illustrations, high quality veltique board and meaningful, heartfelt verses. Complete with foiling inside and a pearlised envelope. Happy Monday! Introducing our cuddly little brown bear! amazing glitter to make these cards an extra special send in our favourite captions. 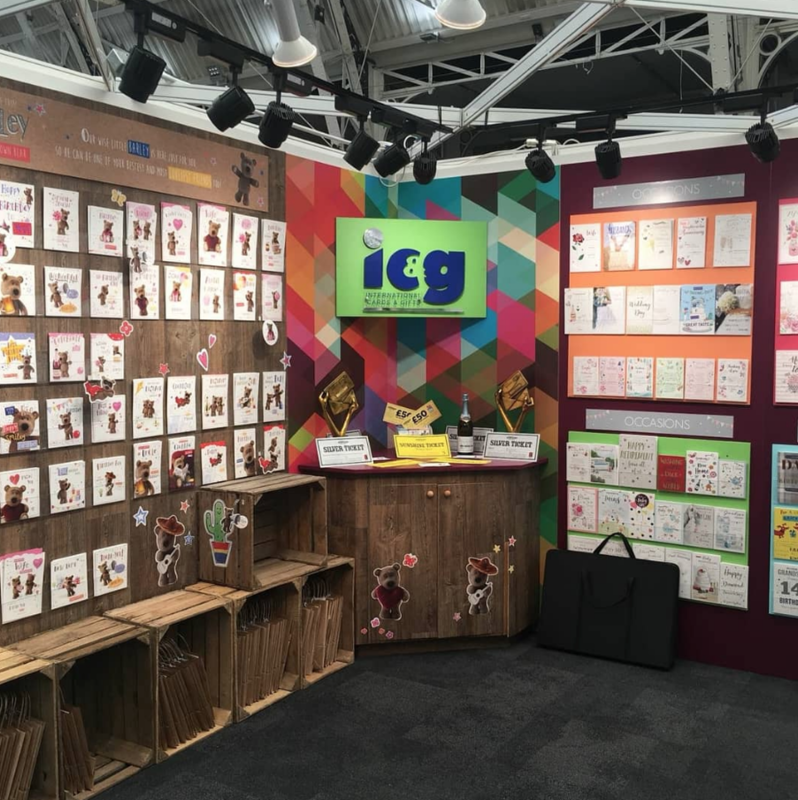 We had a great time at PG Live London 2018, thanks for all our tickets! 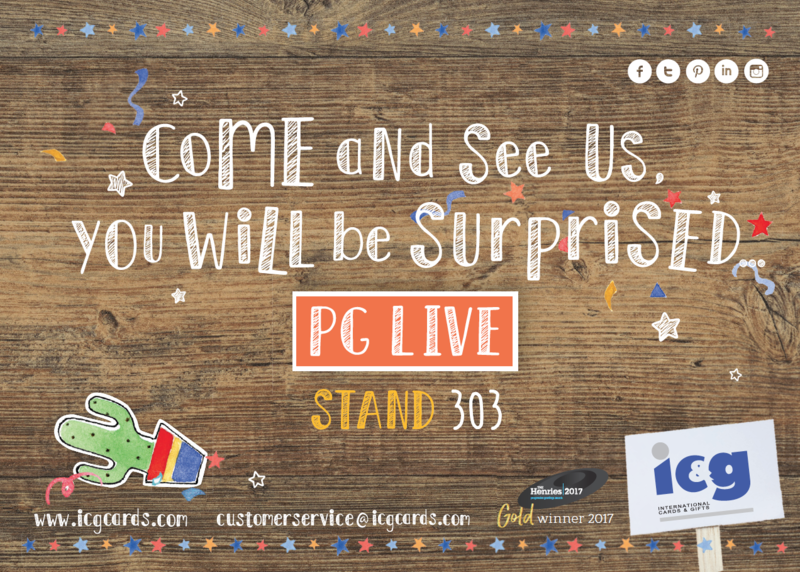 Come and see us at PG LIVE 2018!! and just in time for PG Live London 2018!! 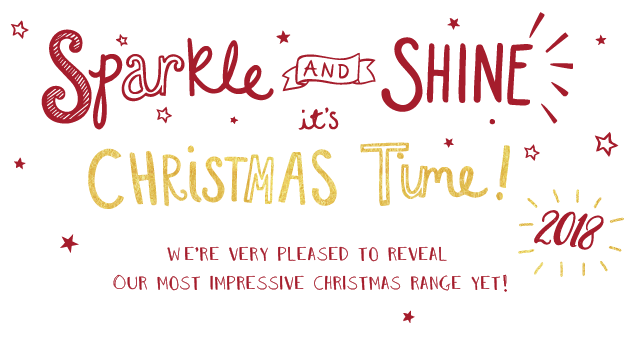 boasting a selection of exciting finishes! 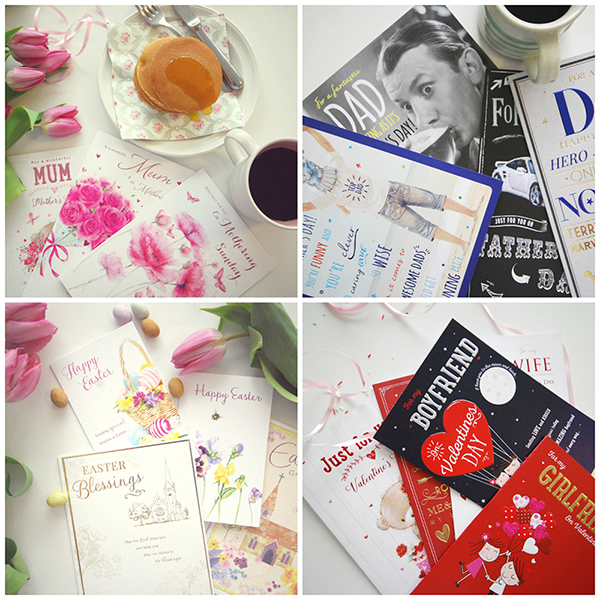 All designs are beautifully finished and available online now! Lots of NEW cards and more AMAZING updates... and CHRISTMAS 2018! 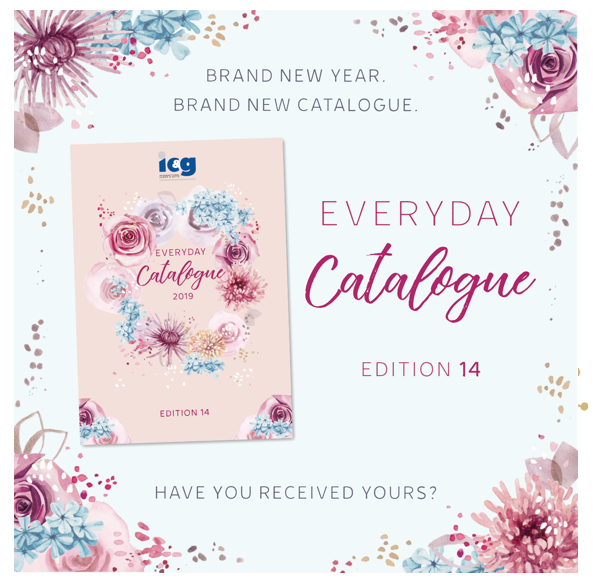 NEW & UPDATED CATALOGUE LAUNCH! The new catalogue is out! 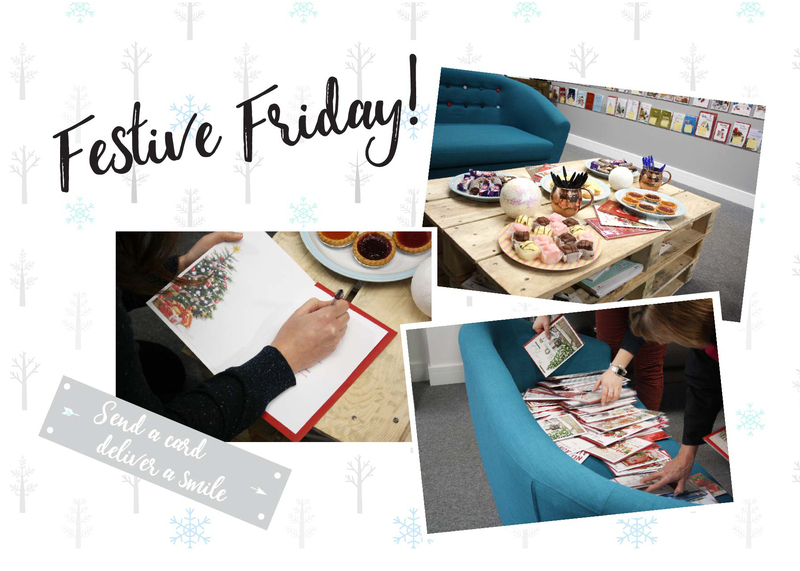 With lots of exciting updates and brand new designs, there really is so much to share with you. 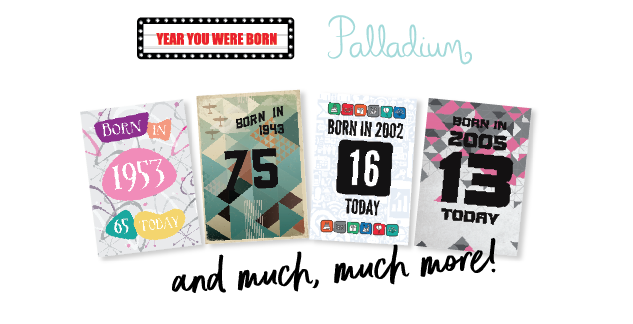 Alongside extensions to our popular Palladium, Magical Wonders, Year You Were Born and Just a Laugh! ranges, there is a huge selection of updates to all our favourite captions. MAGICAL WONDERS ... NOW IN AGE MILESTONES 1-10! 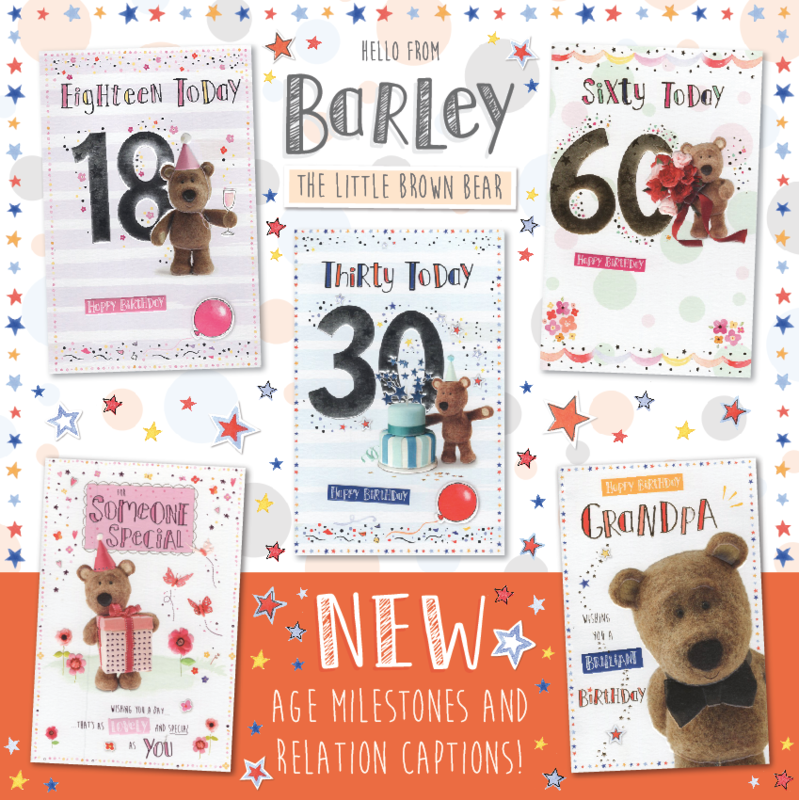 20 new age milestones cards added to out Magical Wonders range. 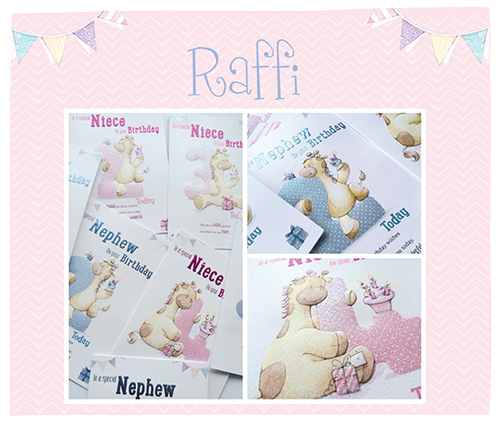 Each finished with a wonderful rainbow foil, this range now covers relation captions, open Birthday and ages 1-10! This comprehensive range of 34 designs for the wedding season are a must have. for every Bride & Groom! 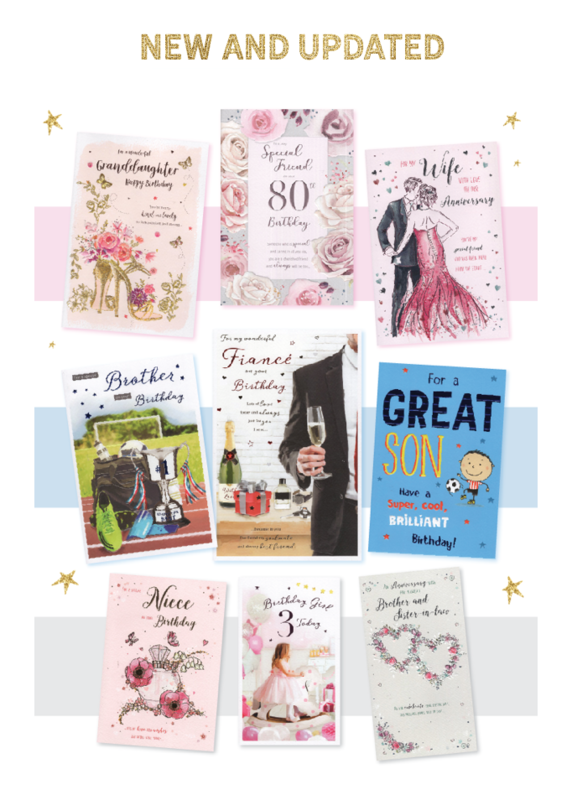 A collection of 20 fresh, contemporary male & female relation Birthday designs to accompany our popular open Birthday release last month! 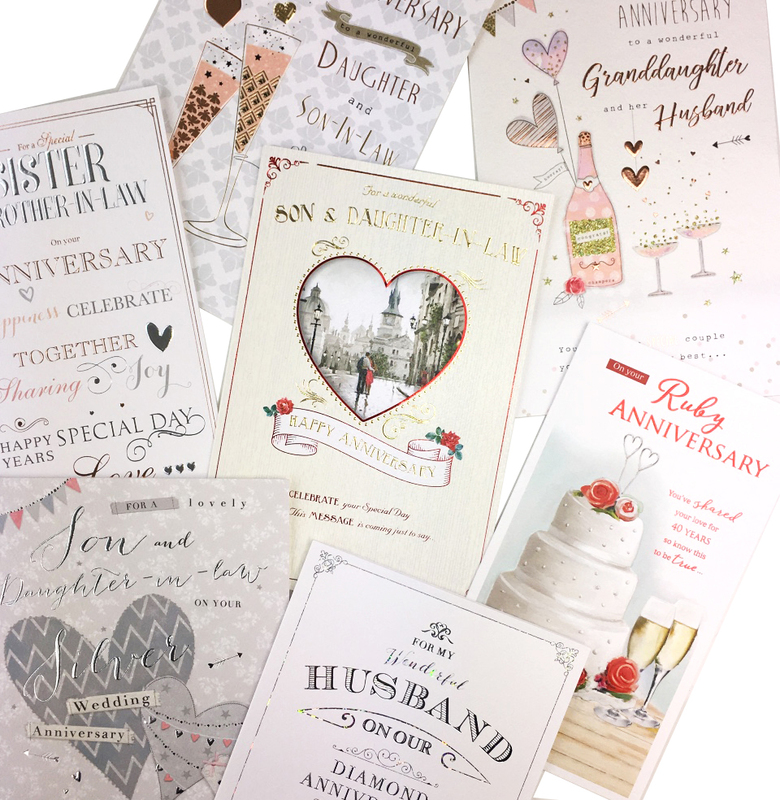 All are finished to the highest of standards with foil & embossed details that make these designs feel extra special; perfect for those extra special people in our lives. A bright and happy juvenile collection of designs featuring a variety of different characters from ferocious dragons to puuurrrfect cats. The wonderful rainbow foil finish makes these designs simply magical! Both open Birthday and relation captions available. JUST FOR LARKS HAS ARRIVED! 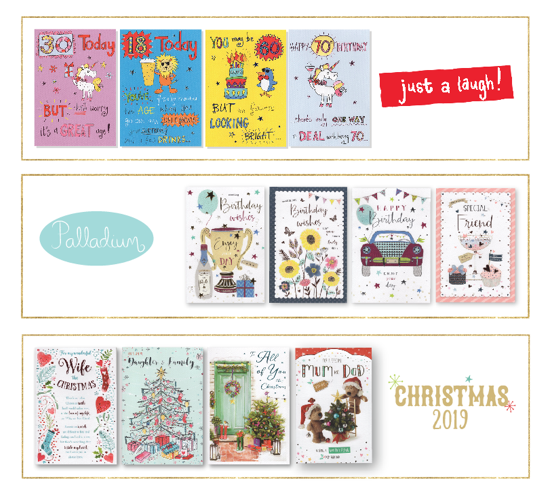 To end a busy January, here is another new range for you! 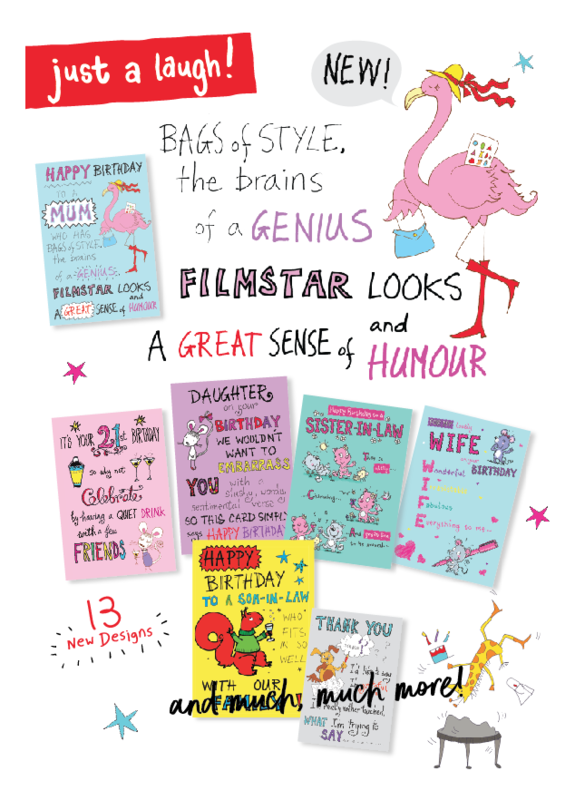 Just for Larks boasts wonderful illustrations combined with witty writing, telling stories that make you smile about life, birthdays and relationships! 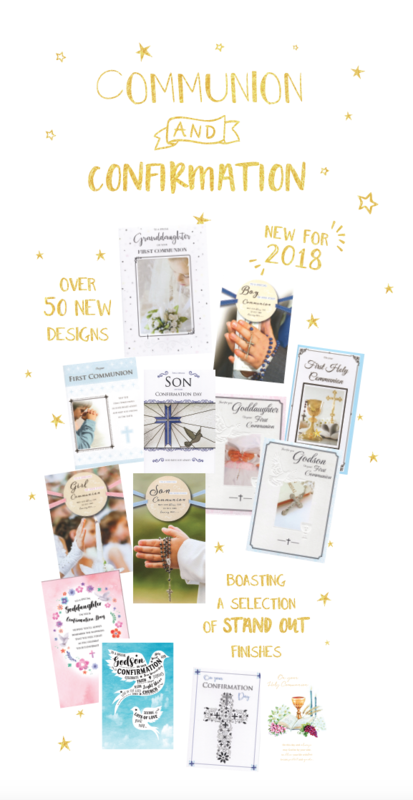 56 BRAND NEW COMMUNION & CONFIRMATION DESIGNS! 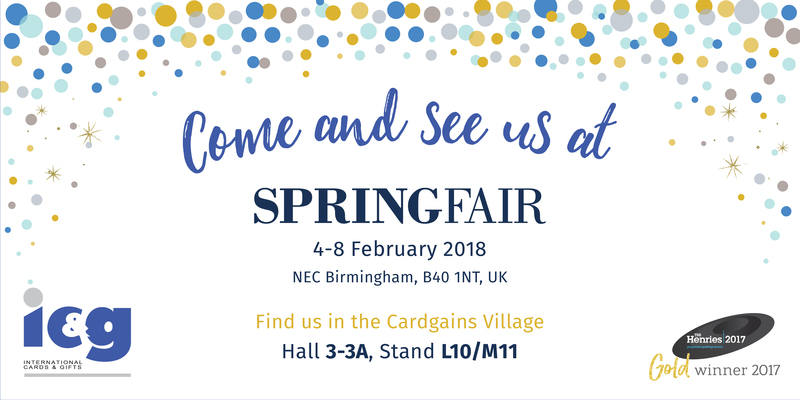 NOT LONG TILL SPRING FAIR! 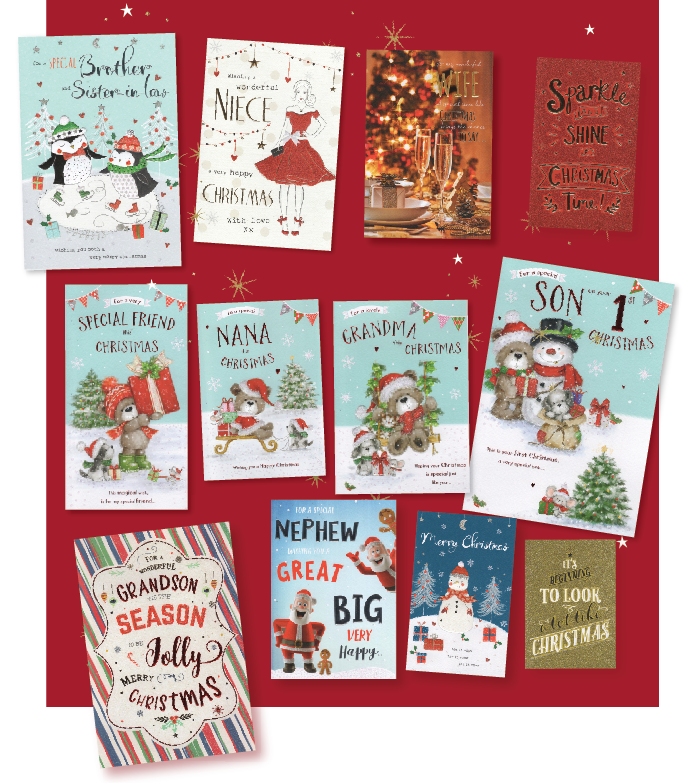 EXCITING NEW RANGES TO START THE NEW YEAR! The start of the year sees the launch of 5 exciting new ranges! 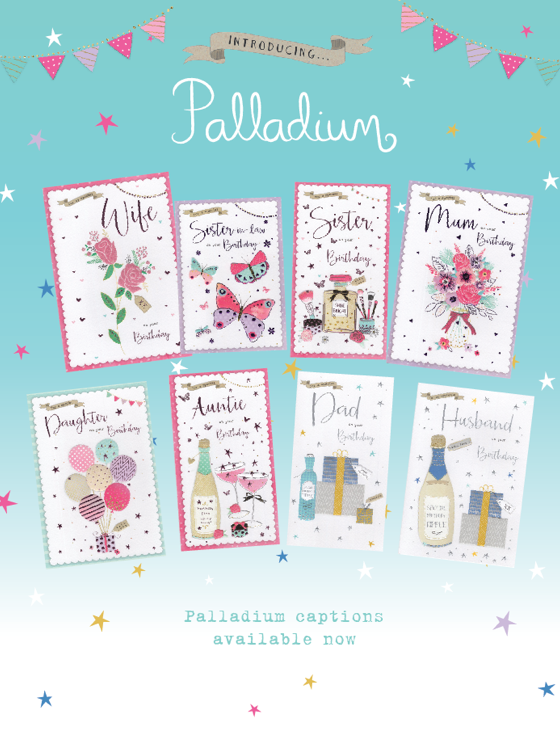 Introducing Palladium! 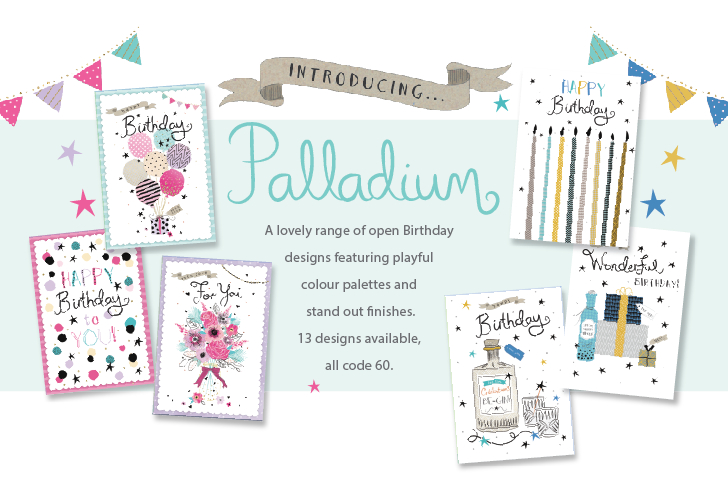 This lovely new range of open Birthday designs features playful colour palettes and stand out finishes. Definitely one not to be missed! We are also launching Pavilion this New Year too. 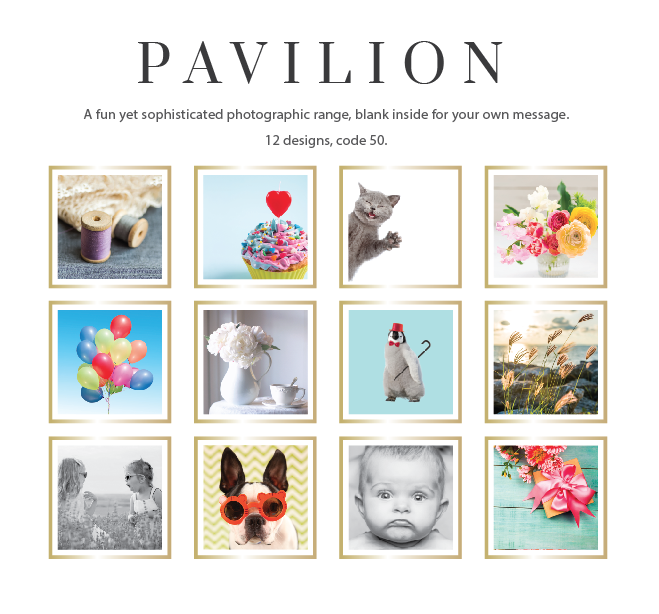 Pavilion is a range of 12 fun, yet sophisticated, photographic designs.  Blank inside for your own message. 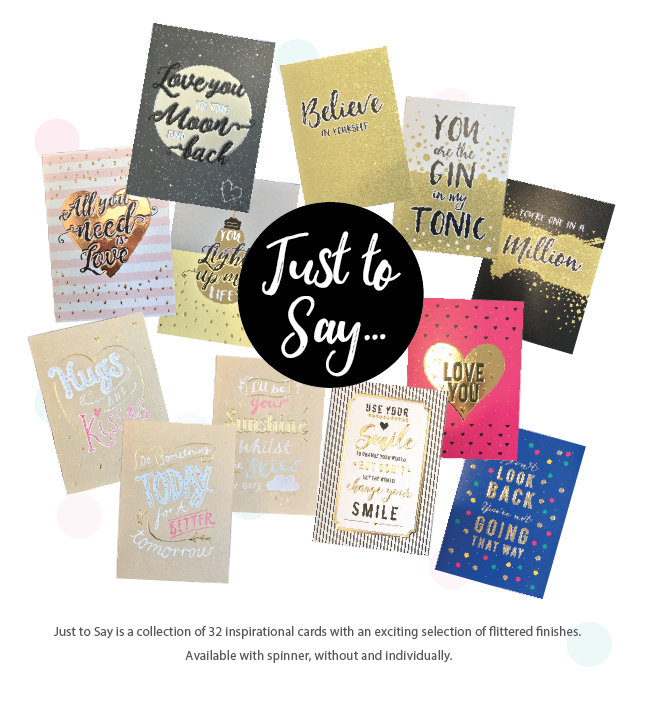 Just to Say is a collection of 32 inspirational cards with an exciting selection of flittered finishes. Available with spinner, without and individually. 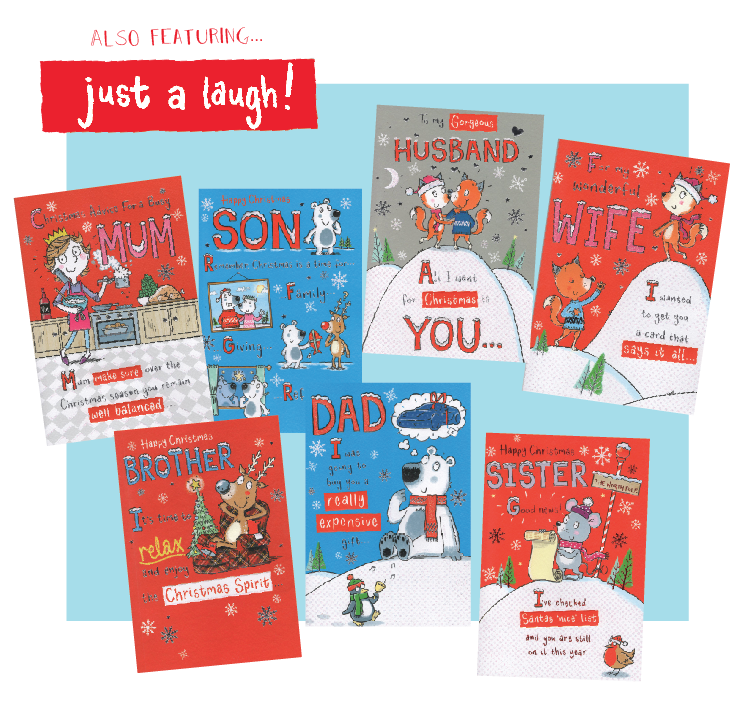 Check out our brand new humour range Just a Laugh. 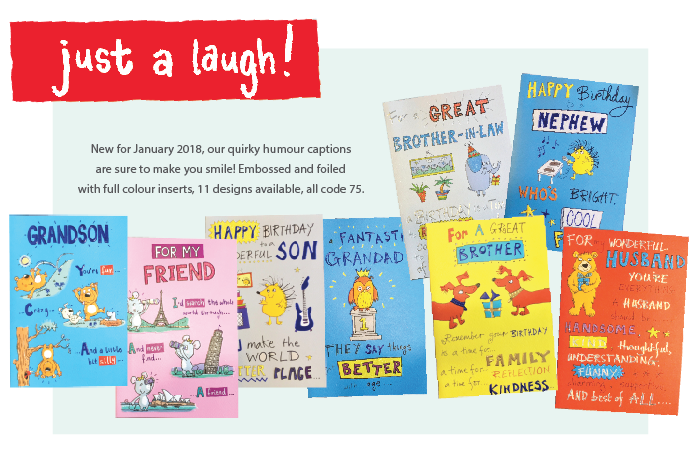 It features brightly coloured, hand-drawn designs with witty one-liners; they are sure to make you smile! 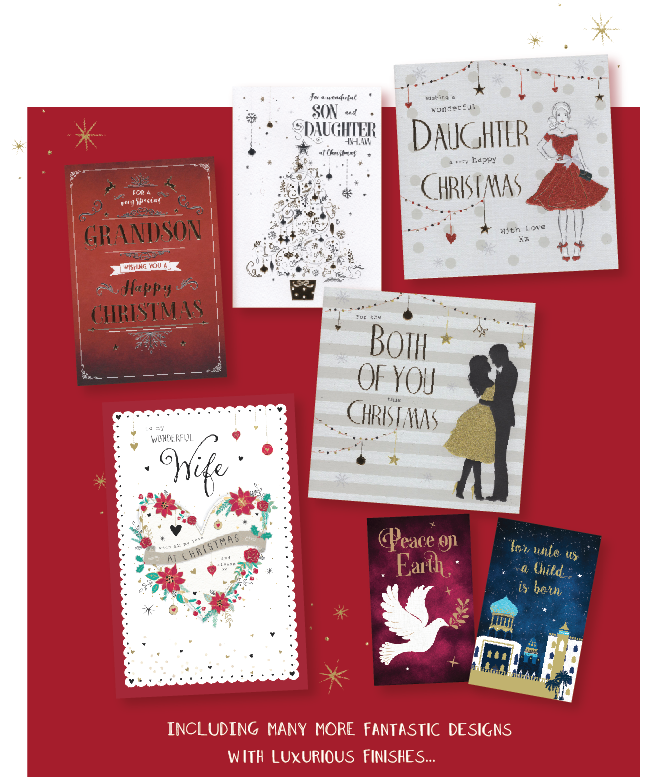 As well as all of those we have an exciting selection of 56 new Communion and Confirmation designs. Available in 3 different packs as well as individually. DECEMBER NEW & UPDATED DESIGNS! 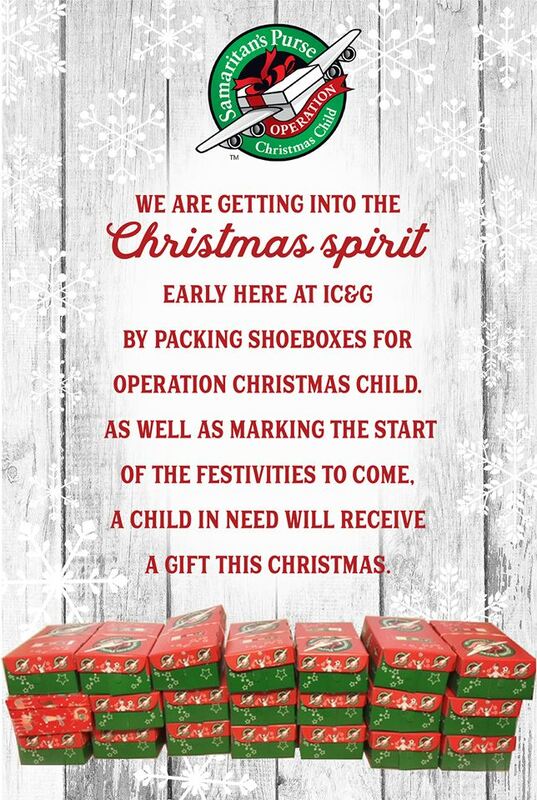 Merry Christmas from IC&G! 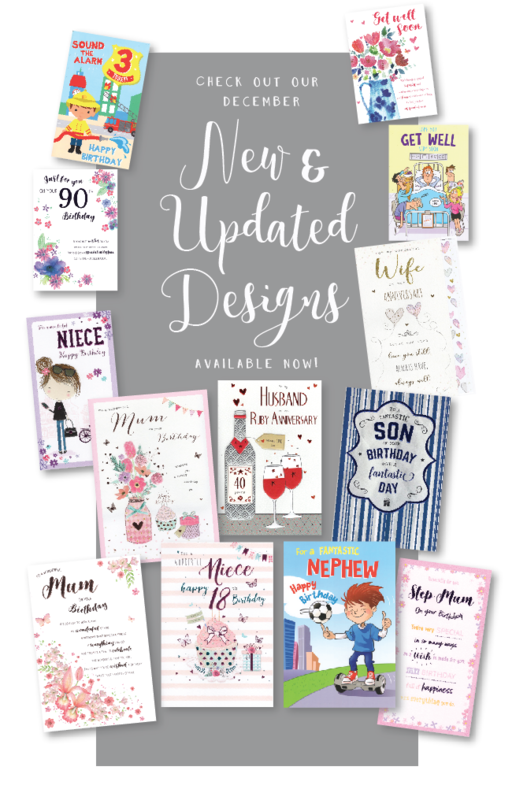 To finish off the year, here is an exciting launch packed full of 40 new designs and updates to many designs across a great range of captions. With a selection of bold and detailed finishes, these updates are sure to brighten up those pockets just in time for the new year. 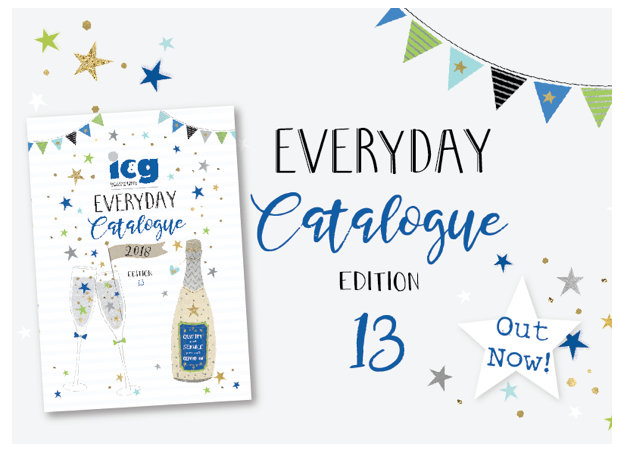 Keep an eye out for the new Everyday Catalogue 2018! 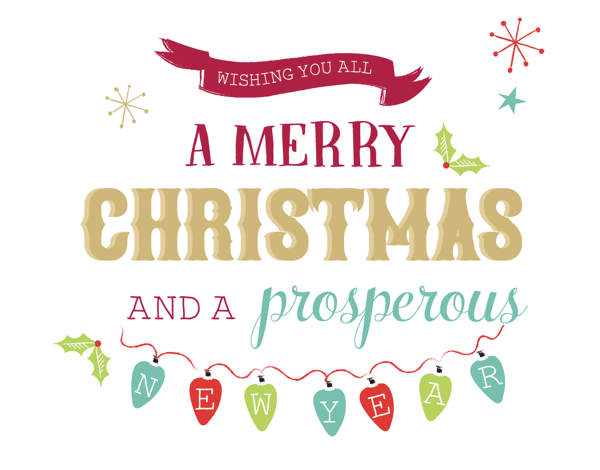 festive cheer across the country". 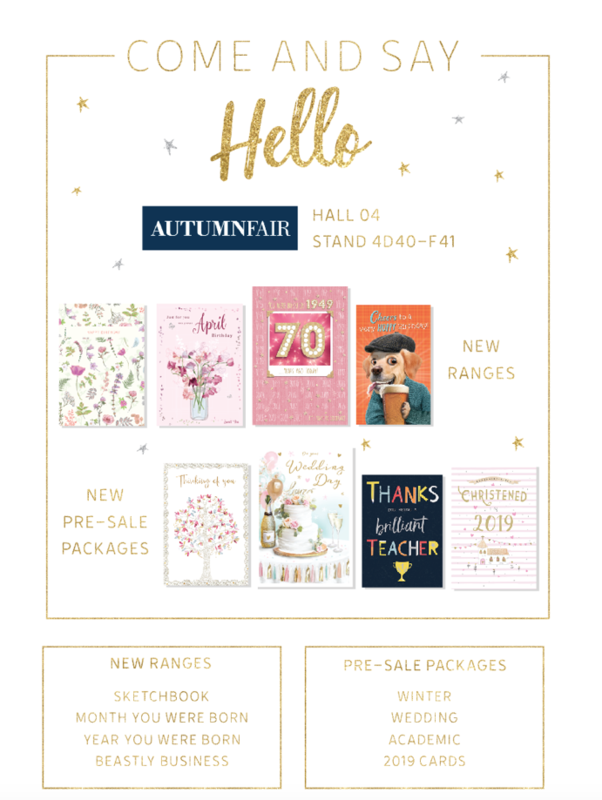 AUTUMN UPDATES AND 2 NEW CATALOGUES! 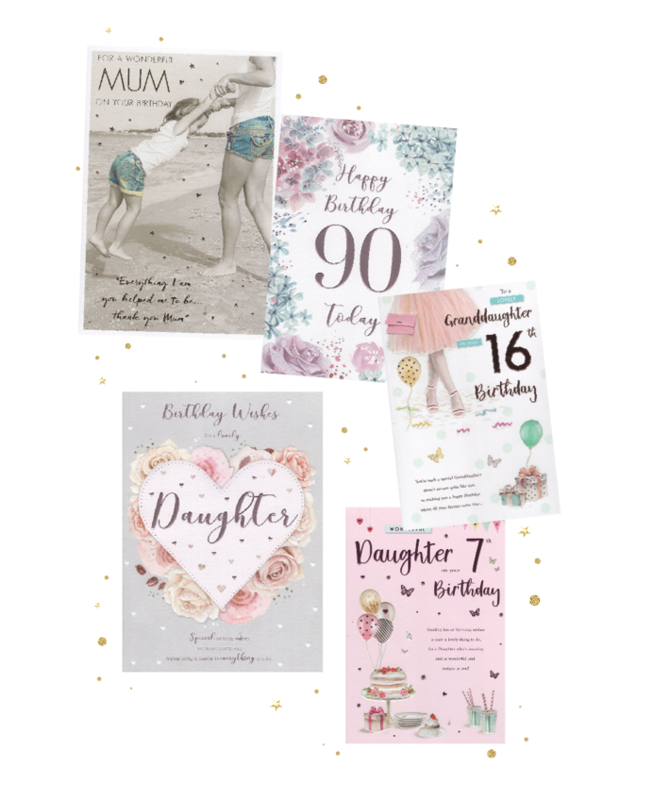 Our 18 new Year You Were Born cards are packed full of fun facts and information from the year of birth for those with special age milestones in 2018. 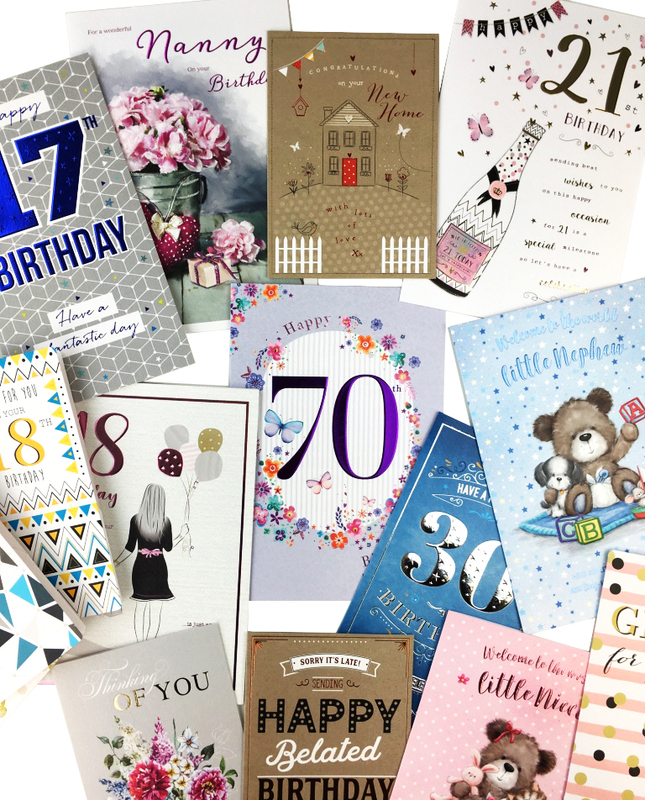 These Z fold cards cover ages 18-90 and have been carefully design to mirror trends and popular styles from the period they represent. 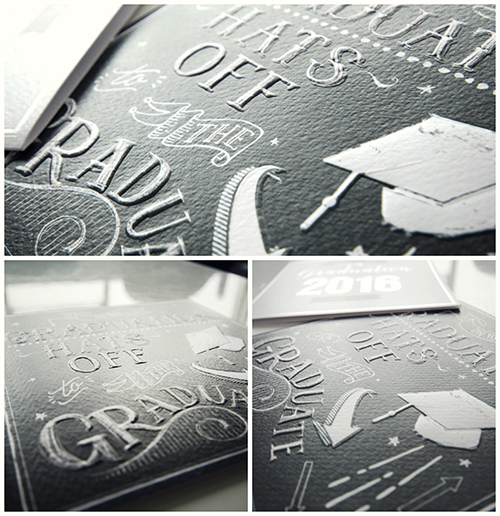 Each is hand finished with either foil embossing or embossing. 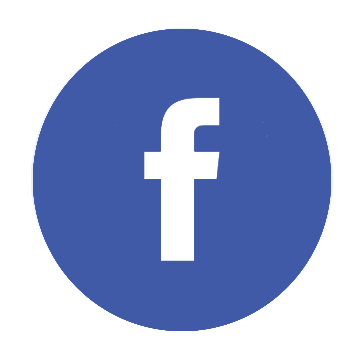 The facts cover a wide range of interests from technology, sport, fashion, film and general knowledge. 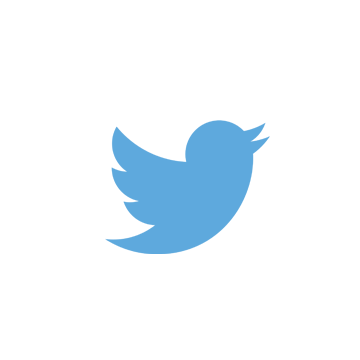 Have you ever wondered what the top songs were from 1938 or the movies that debuted in 1988? These are the cards for you! As "summer" draws to a close for another year, we have a great selection of updates to conquer those post-holiday blues! In not one, but two exciting launches this month, we have released updates in many popular captions like Daughter Birthday, Age Milestones, Thinking of You and Money Wallets. BRAND NEW DESIGNS AND LOTS AND LOTS OF UPDATES! 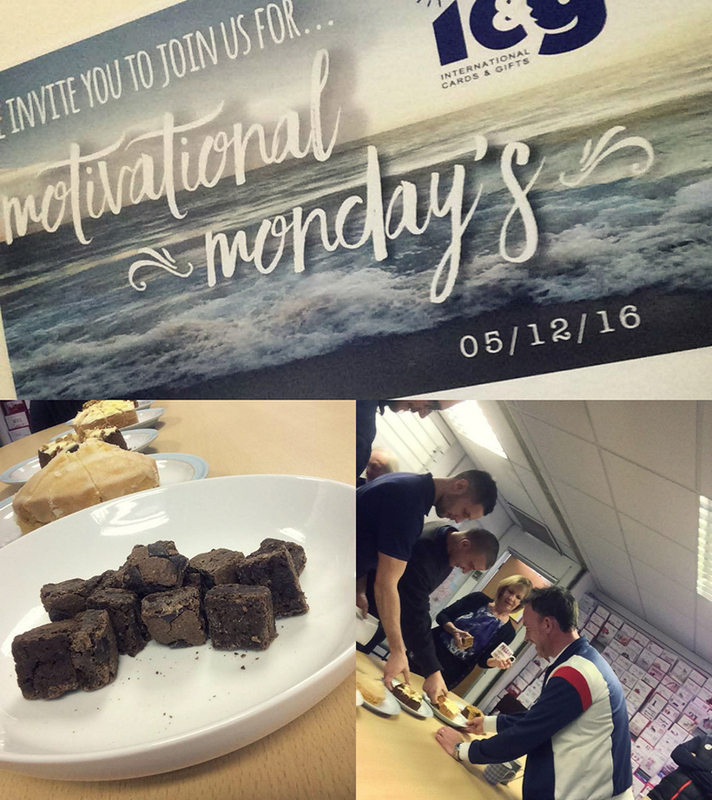 This morning we had a Monday Motivation meeting! Cake, coffee and a chat from the REV at AFC Bournemouth! Feeling ready for the week ahead here! 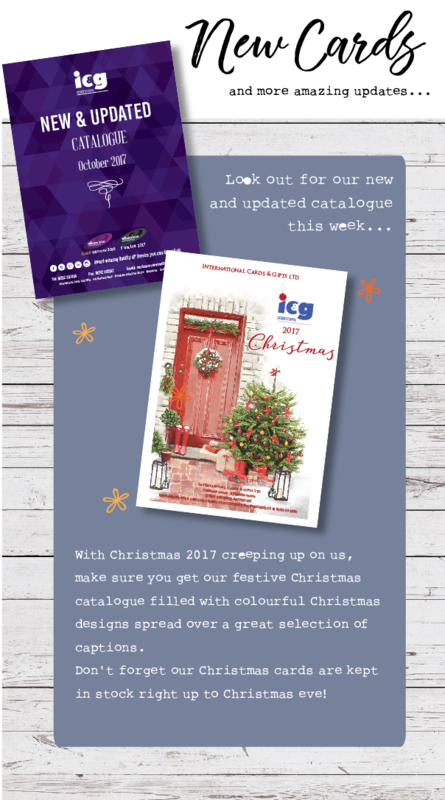 It’s been a busy year here at IC&G. 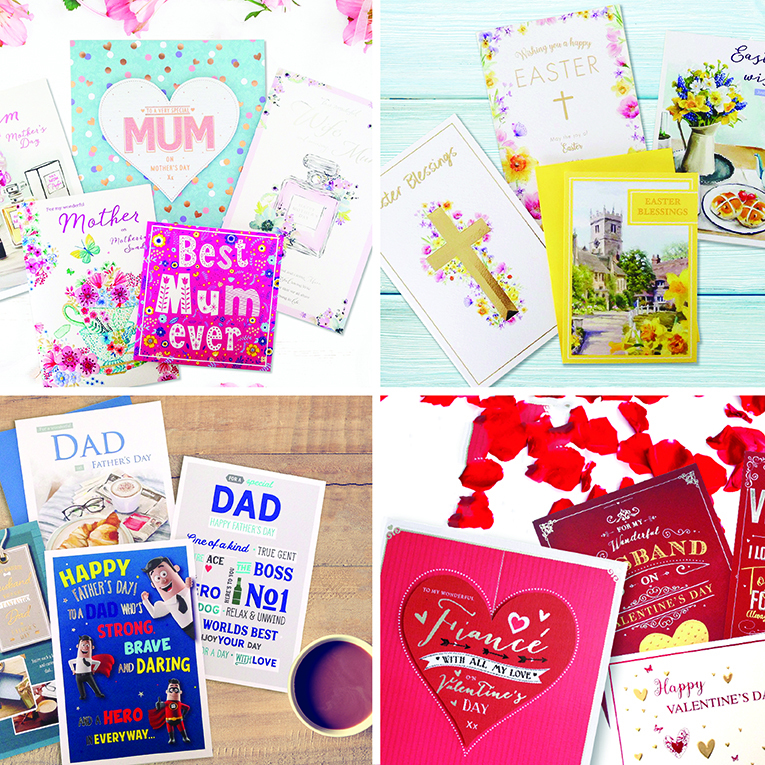 We have been working tirelessly to create brand new and updated designs, whilst also aiming to provide as always, excellent customer service and quality. Having won silver last year we were excited to exceed ourselves, go the extra mile and make sure that our dedication to quality and service was felt, especially by our customers. 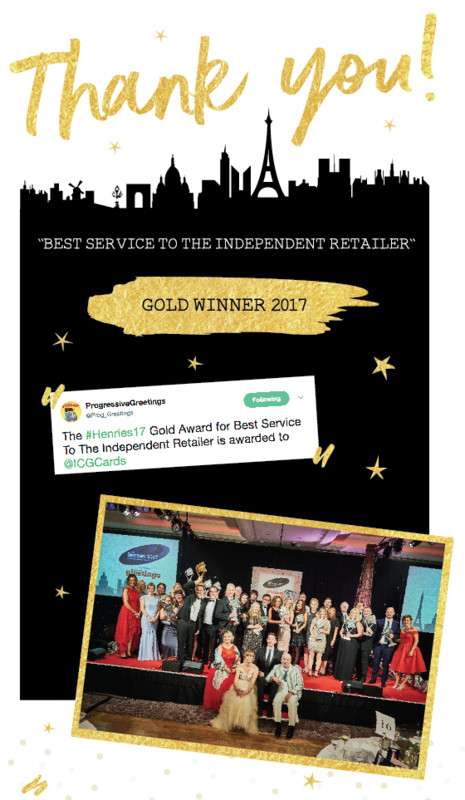 When we heard our name called out for the award for Gold winner in the ‘Best service to the independent retailer’ category, we were ecstatic! To win Gold in this category is something that we only dreamed of achieving! As a company we are humbled by all of your support, without our wonderful customers none of this would be possible. 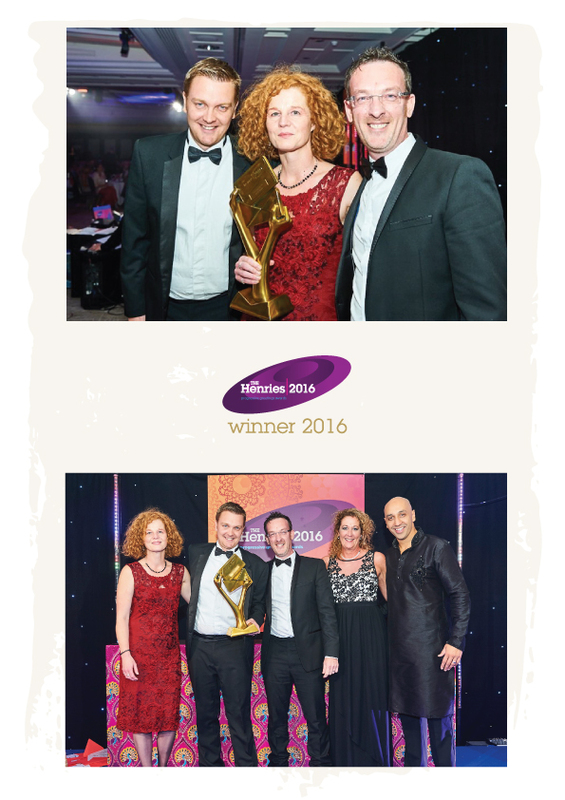 Along with the hard work of our internal staff and fantastic sales agents is something that we are very proud of. We would like to say a huge “Thank you” to you all for your votes. We are very much a family-run business and really appreciate all of your support. A huge well done to all involved, we hope you enjoyed the night as much as we did. We look forward to working with you in the coming years and rest assured we will strive to improve and develop all aspects of our business in the future! 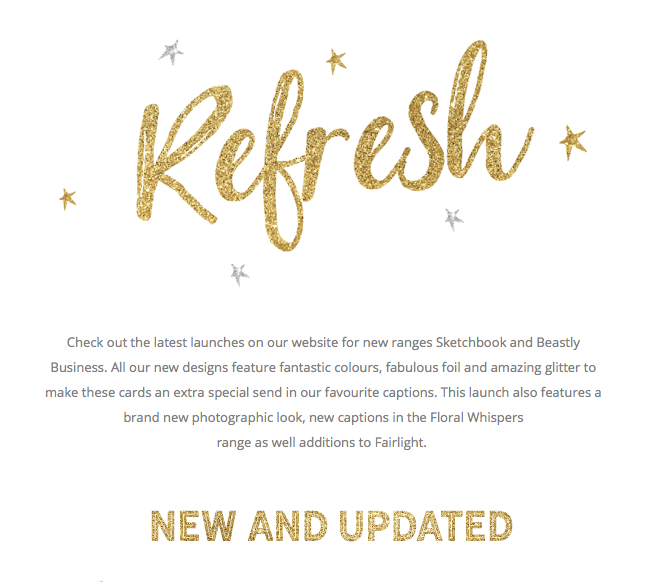 ALL NEW RANGE & HENRIES COUNTDOWN.. The countdown is on to the Henries awards...We have been nominated for 'Best Service to the Independent Retailer' and 'Best Traditional words or Sentiment Range' and we are SO excited to be in the running for both. 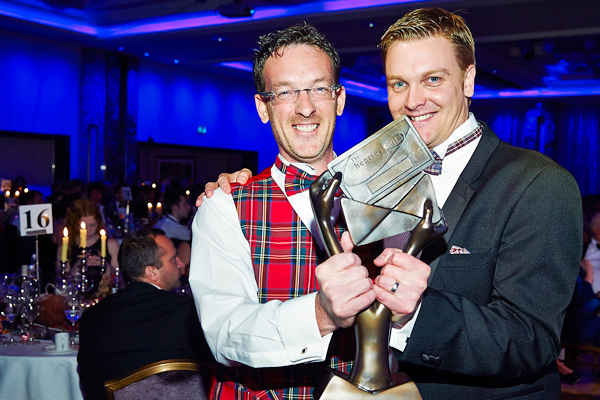 The Henries awards kick off on Thursday the 6th of October at the Lancaster London Hotel. The cards are printed on a luxury, textured board with complementing envelopes and finishes, tying the whole collection together. To view the collection online check out our recent Flower Facts Launch! ESSENCE RELEASE, AUTUMN FAIR,HENRIES FINALISTS..PHEW! We are not even halfway through the month and it's set to be a busy one already! 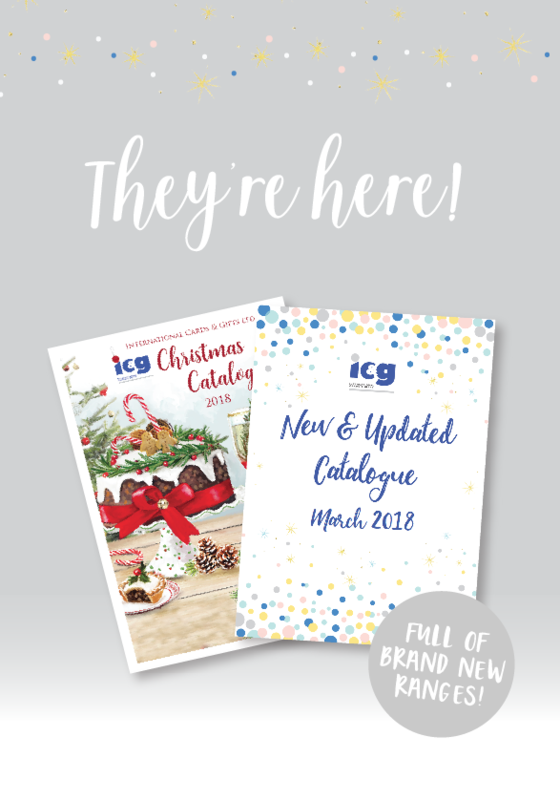 With a shiny new catalogue out, two Henries 2016 nominations, new ranges and more on the way...It's an exciting time here at IC&G. 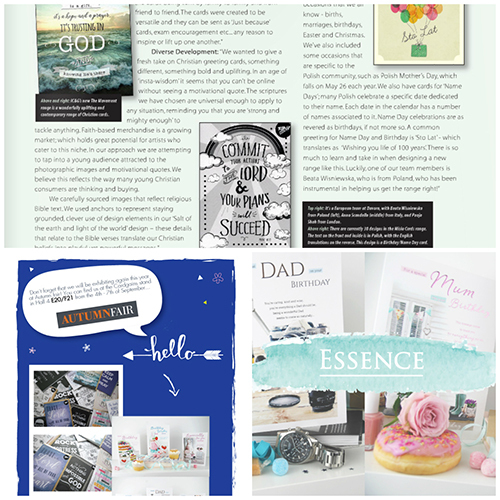 Our new christian range 'The Movement' has just been featured in this month's progressive greetings magazine, amongst loads of other fantastic inspiring companies in a diversity section - Here we discussed our ideas and our motivation for the range. 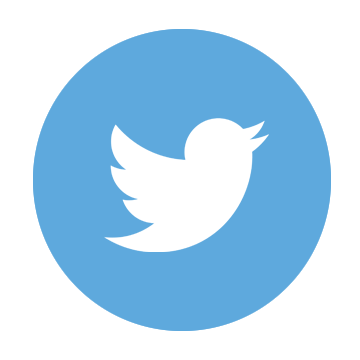 Don't forget to follow us on our social media platforms to stay up to date with our offers, new releases, news and competitions! 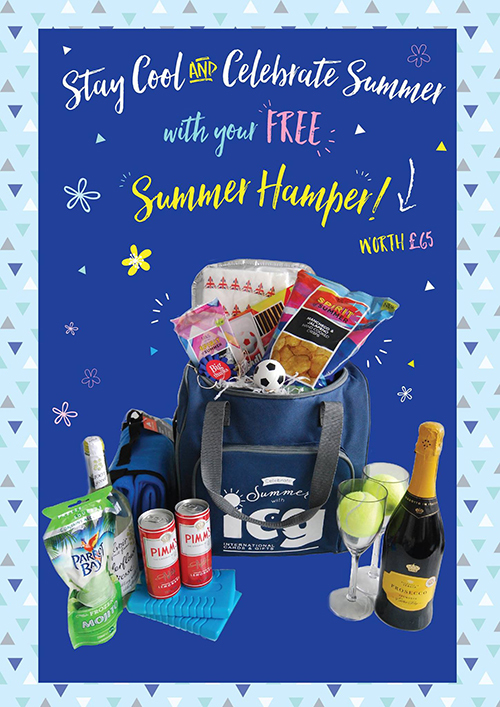 That's right...We are giving away 100 FREE bespoke Summer Hampers! We have been working away like busy bee's to get our Spring 2017 collection ready for launch...and it's here! The collection is packed full of new designs, captions and artwork! 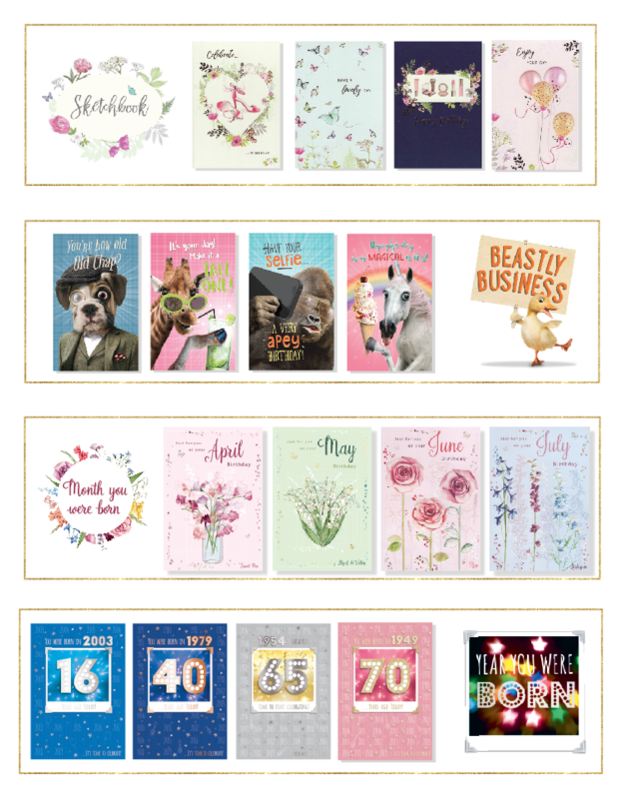 If all that wasn't enough, we are excited to reveal our new contemporary brushed cards this spring...This launch gives you your first sneak peek of our brushed cards which are to be released in the next few weeks (So stay tuned for that!) The brushed designs in spring feature modern content with an added traditional twist. 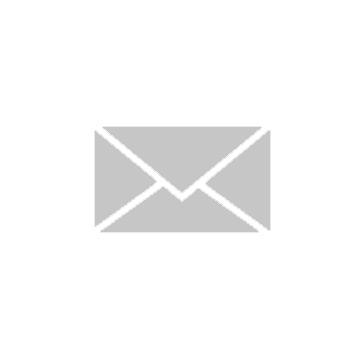 Visit our trade site for more information and to order online today. 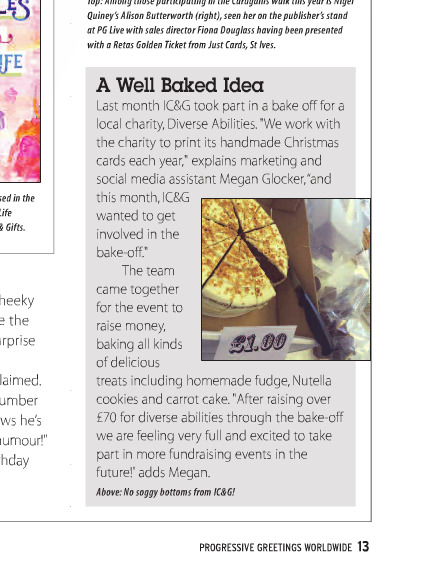 Last month we got involved in a charity bake off for local charity, 'Diverse Abilities'. The event was a huge success, raising over £70 through selling our humble baked goods. 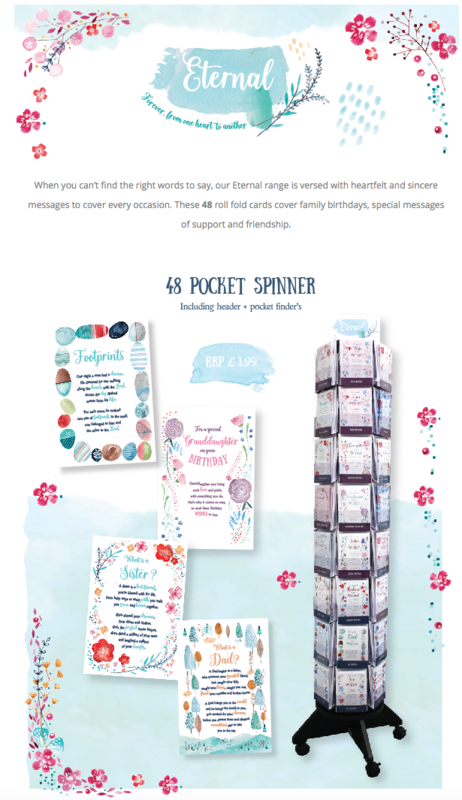 We featured in the news section of Progressive Greetings magazine - Take a look below! Recently we have been really experimenting with our finishes! Pushing the boundaries with regards to embossing and unexpected colour combinations/ foils. Our male ranges in particular are seeing some experimental patterned embossing featuring on-trend colours. Stay tuned for even more new designs and ranges being released this month. 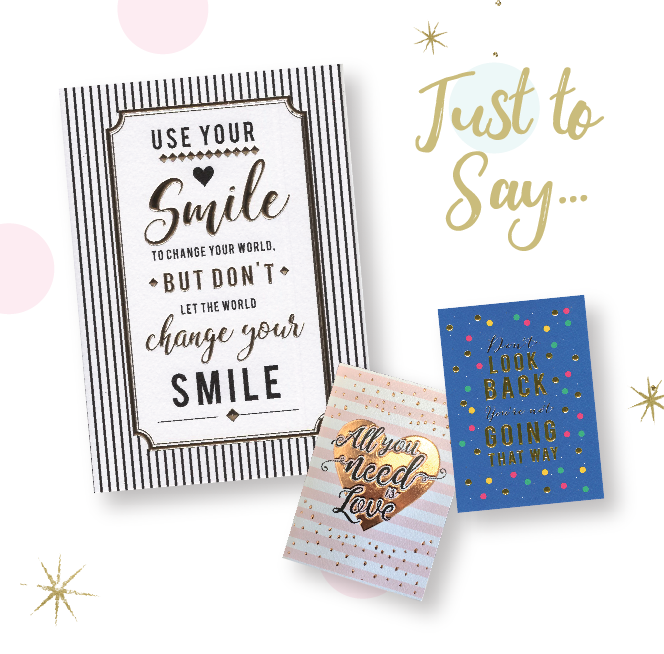 'The Movement' is an uplifting, inspirational collection of greeting cards. 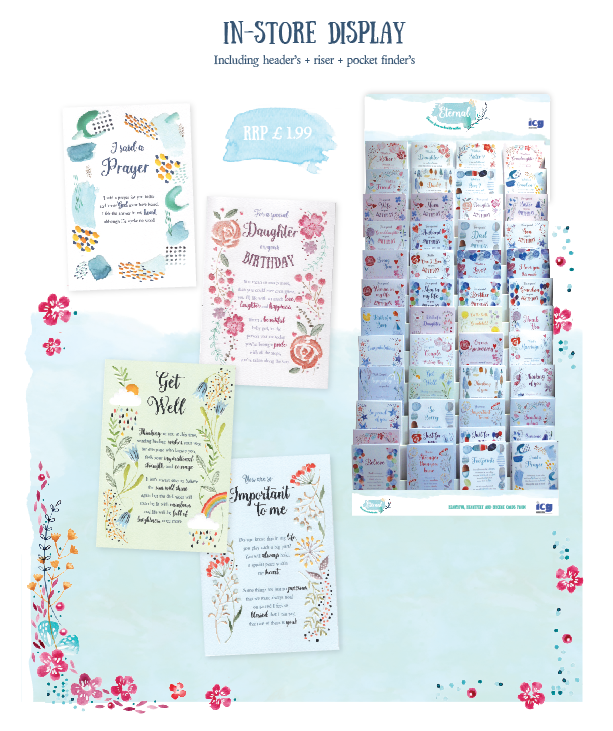 The movement aims to bring a fresh take to christian greeting cards while creating a wave of building each other up and celebrating life! The cards will be launched shortly so check back soon for the big reveal. PGLive this year as always, was a buzz of excitement. 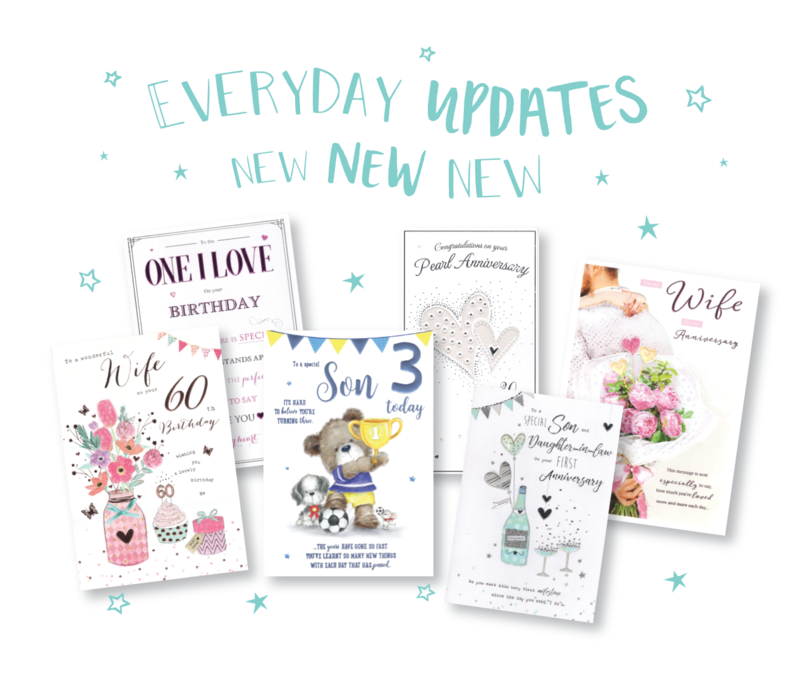 With new products and ranges being launched, a flurry of new designs and titles to share with you guys – It made for a packed short few days! We loved seeing all the familiar and not so familiar faces, while even meeting some brand new ones. PGLive 2016 was certainly an event to remember. 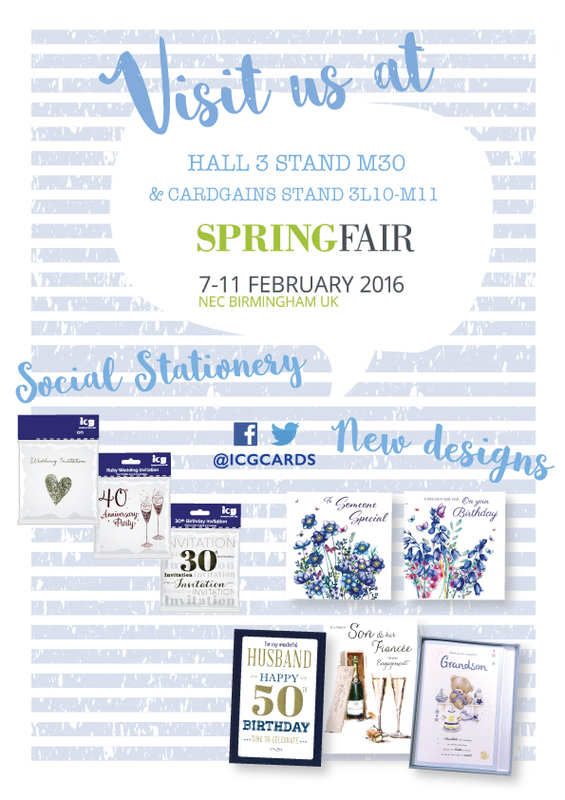 Don’t forget to log onto our trade site to view all of our new exciting designs & ranges for 2016. 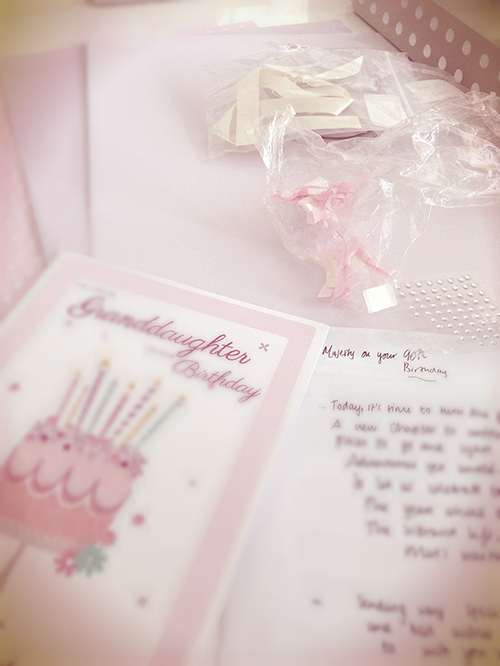 Lot's of Ideas are flying around here at IC&G...Diamonds & Ribbons and all things royal �� It's the making of the Queen's Birthday card! Check it out at Stand 303 at ‪#‎pglive2016‬ next week. We were ecstatic when we heard our name called out for a silver award in the ‘Best service to the independent retailer ‘ category! We felt proud of all the people, hard work and effort that make our customer service the best that it can possibly be. Having won bronze last year we were so proud that our dedication to quality and service has been recognized once again. To quote Warren Lomax, co-owner of Progressive greetings- “The 1920s was a decade known for its creativity, style and entrepreneurialism, which makes it entirely fitting as a backdrop for tonight’s 20th Henries Awards.” We couldn’t agree more! 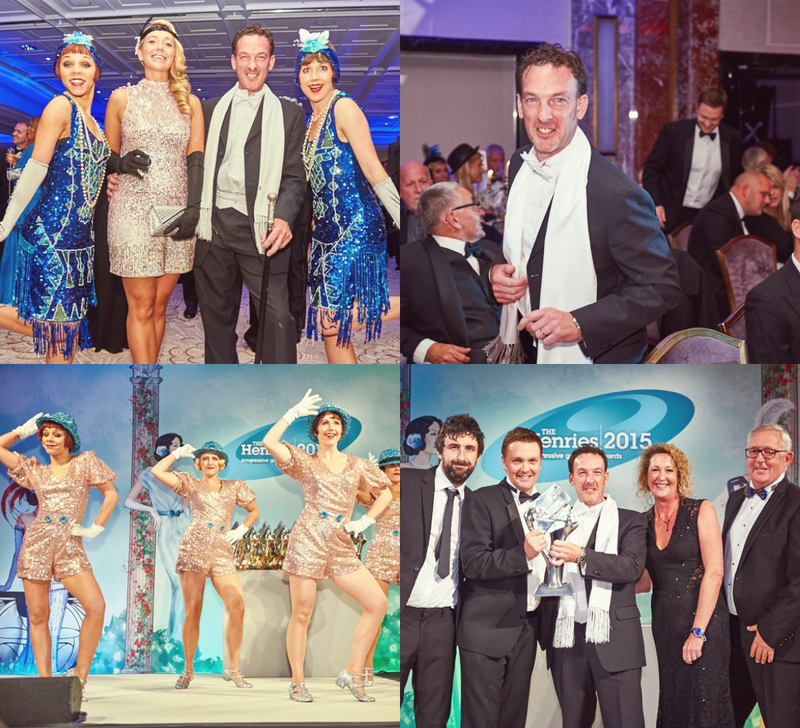 We anticipated this night so highly and were filled with excitement… And what a fantastic night it turned out to be. We would like to say a huge thank you to everyone who voted for us, followed by an extended thank you to all our wonderful customers. A huge well done to all involved, we hope you enjoyed the night as much as we did! Head over to our Facebook page to see more pictures from the night. 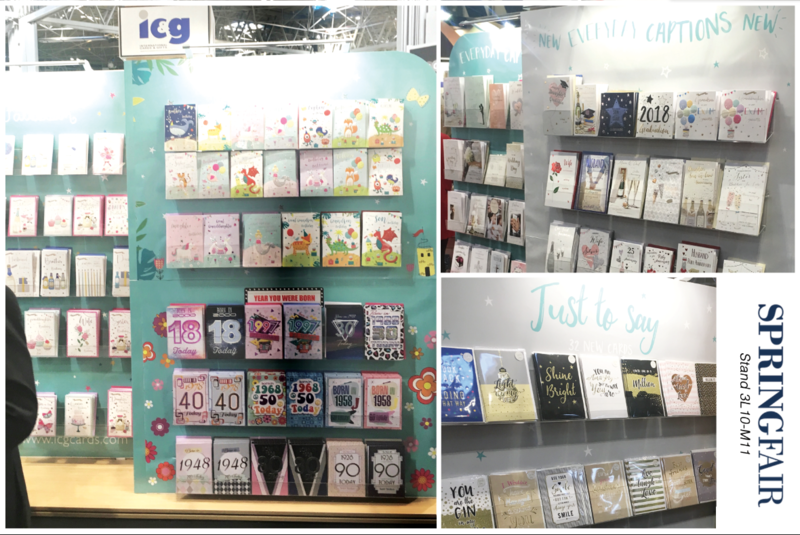 Autumn fair is just around the corner and you can catch us exhibiting from Sunday 6th - Wednesday 9th September, at Cardgains Village - Hall 4, Stand E20/F21. 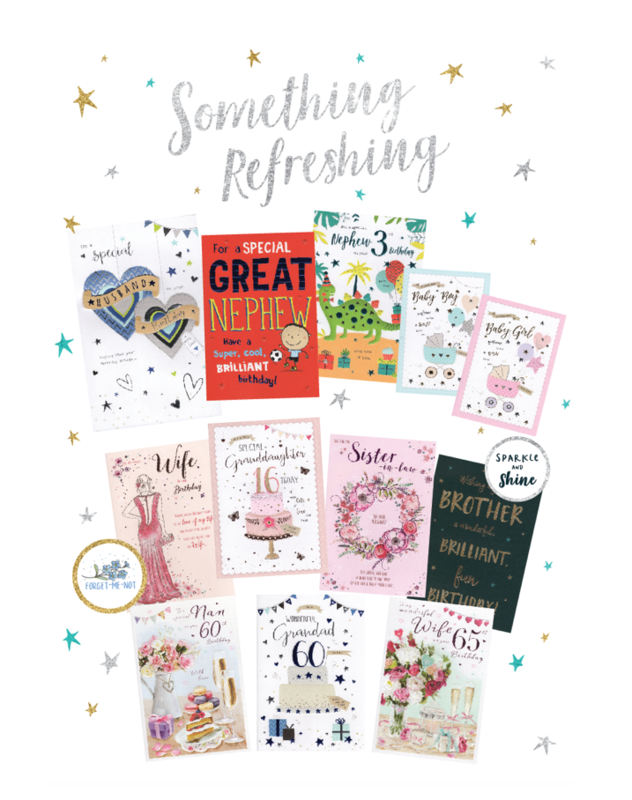 With new products being released every two weeks we have so much to share including our brand new social stationery range, exciting new age relation designs and much more! We look forward to seeing you all there! 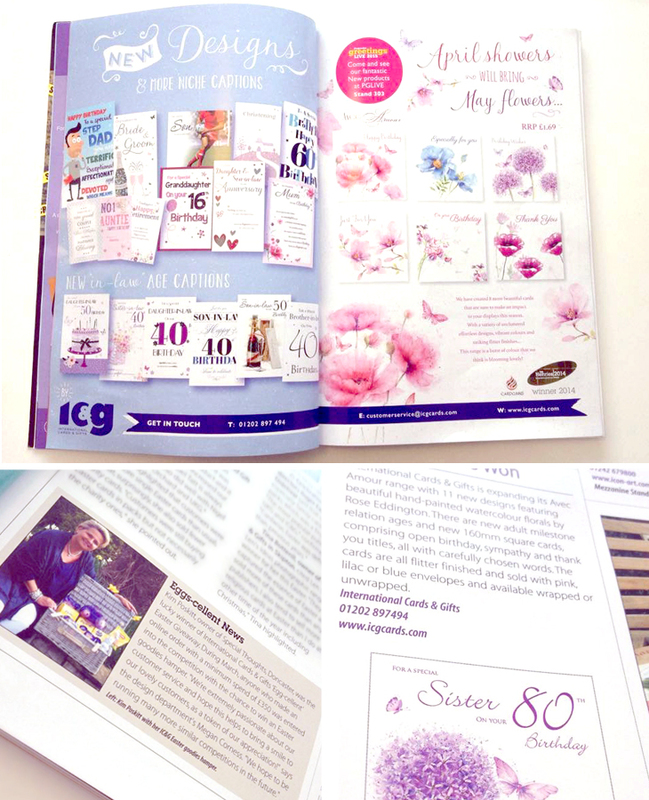 Did you see us in May's edition of Progressive Greetings Magazine? 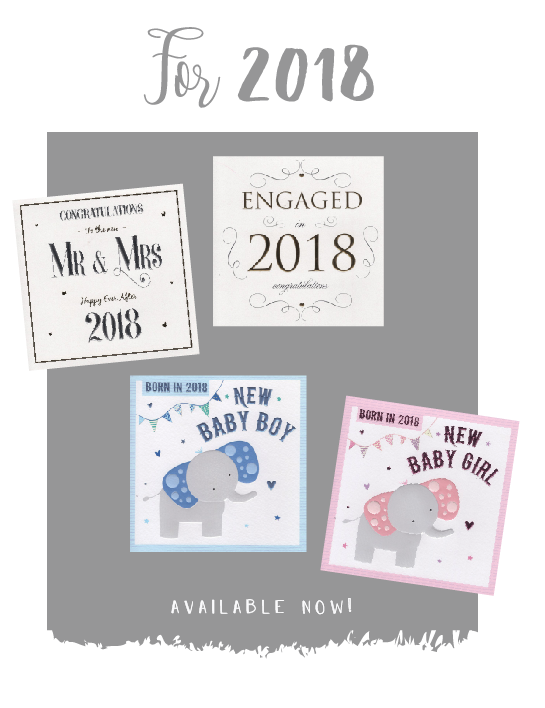 Our brand new advert was revealed, showcasing a selection of our new designs, new 'In-Law' captions and new avec amour squares. All of which you can see for yourselves at PGLive this year... Why not pop along and say hello? The countdown has begun and there is only a few weeks left! You can find us at stand 303 on the 2nd-3rd June. 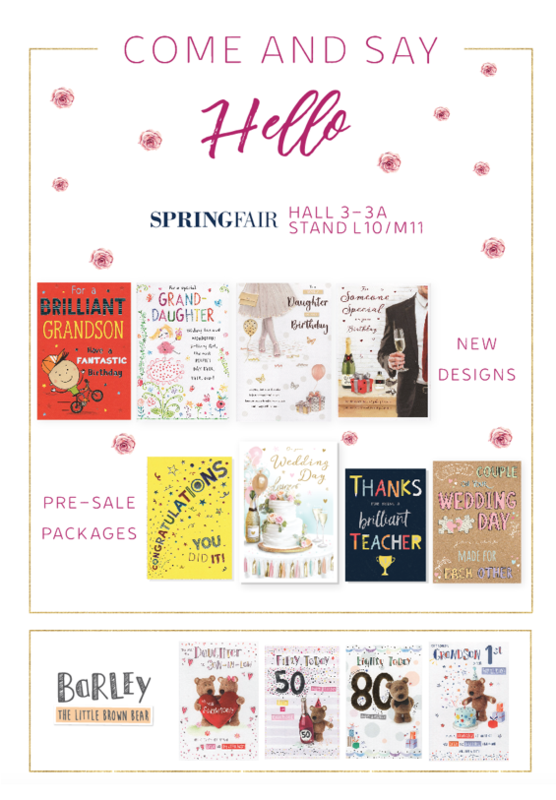 You can also read a write up of our new 'Avec Amour' range on the Innovations page 51 in Progressive Greetings, which will be on show at PGLive. Our Easter Giveaway made it to the news section in the magazine, with a lovely photo of our winner Kim Poskitt of Special Thoughts, Doncaster! Well done Kim! 1,500 retailers nominated which three card suppliers they considered to be the best service over the last year. Having coming fourth last year, our quality and service is something we are very passionate about. 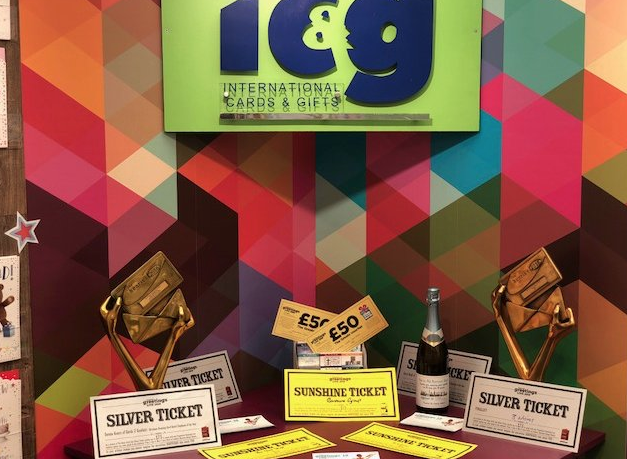 A huge thank you to everyone that voted for us and congratulations to UK Greetings who won Gold and Noel Tatt who came second. In keeping with the Highland Fling theme of The Henries Ball this year, our directors (Ian & Simon Wagstaff) sported some lovely tartan attire, you can see more of our photos from the night by visiting our facebook page.